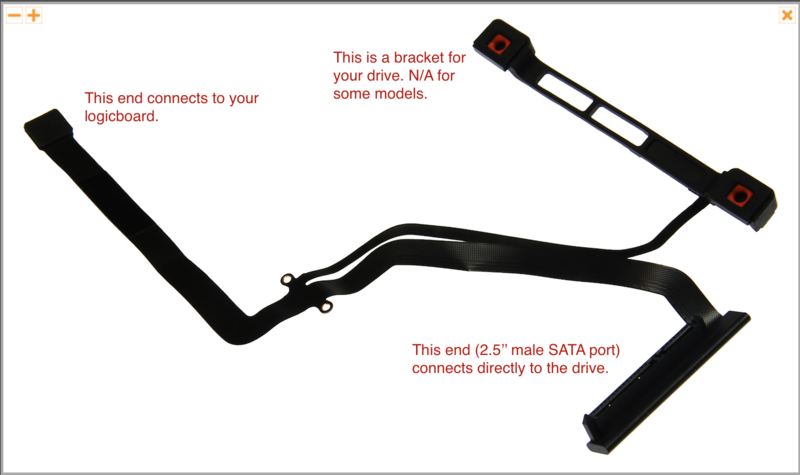 The HDD cable physically attaches the internal drive (2.5'' 9mm traditionally for notebooks) to the logicboard, typically via the SATA (II or III) bus. The cable can wear out and cause I/O problems, such as you've as described. Using iFixit, identify your machine's model and find the applicable replacement guide for the cable (example). In the guide's preface, see "relevant parts" for the compatible cable and necessary tools. Prices range from $30-$50. Follow the step by step guide carefully and replace the cable. If you still have the same issue after doing so, the drive itself is defective and should be returned. Testing cabling is more of an empirical exercise. First you disconnect and reseat both ends of the cable. Next, you put in the new cable and if the problem goes away it was the cable. If you suspect the cable on an intermittent problem you replace the cable and leave it in after reseating doesn't reduce the frequency of the issue. I'd start with reseating things and re-testing. Since you have a good test you'll know pretty quickly if it's the drive, the cable or the driver board / software that's causing the write failure. Also, check that the drive has updated firmware / appropriate firmware for your version of OS. Unable to erase Hard Disk?